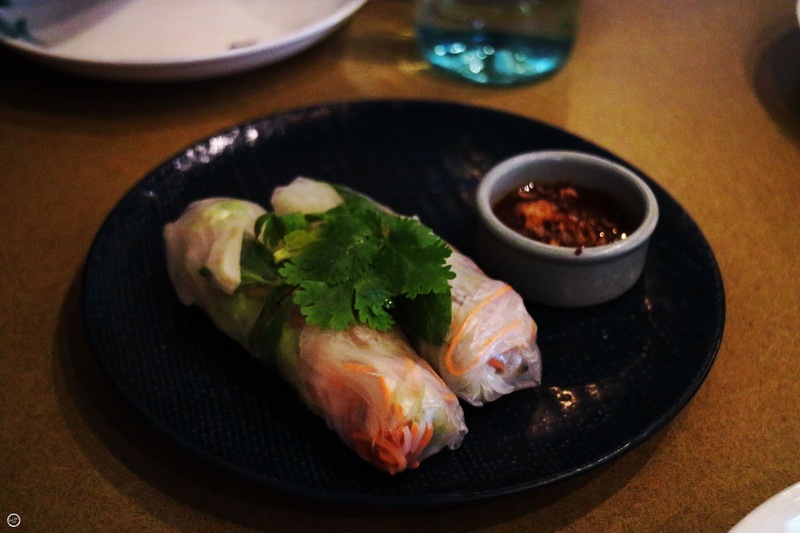 Freshly made rice paper rolls are simply the best and this one comes with a sweet savoury sauce that was made it even more delicious. 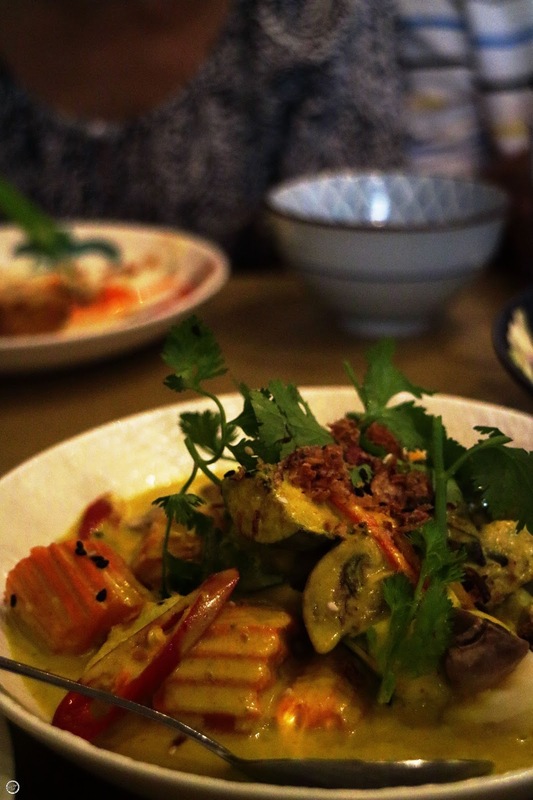 Lots of love to the colourful vegetables in this dish along with the slight tangy sauce! The charred taste from the chicken made it even more enjoyable. Woah! Totally didn’t expect the fish to look at us like that when it was ordered! It was so beautifully fried without being oily and the fish was still tender. 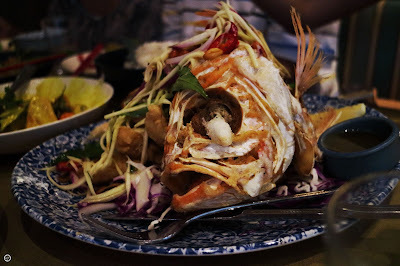 My mum brought her inner Asian in her and demolished the fish head while the boy looked at her in wonder :) And she gave me the yummy fish cheeks like she always does yay! This innocent looking noodle had all of us fooled, it was SUPER spicy. First bite it was fine but the next was a tongue burner. I mixed it with some rice to make it more edible. 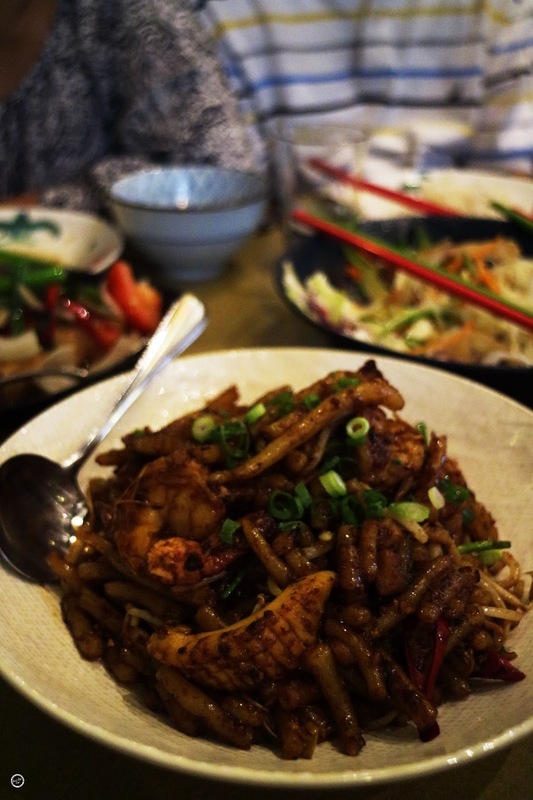 If spicy food is your thing, do give it a try! Thankfully the curry had just the right amount of hotness with coconut sauce. All the vegetables soaked up the sauce and was really lovely. There’s just something about eggplant and a bit of sesame oil, they’re like heaven together. My sis specially requested for this after trying it before. 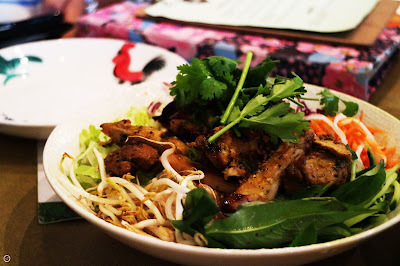 Whenever we don’t feel like cooking but still want to eat healthy, Vietnamese is always our top choice because they will always have vermicelli salad on the menu. I particularly like Mama’s Buoi because all their food are so vibrant and fresh. They are located in Surry Hills, very close to Central Station/Strawberry Hills where parking is quite easy to find. Their interior makes it very welcoming along with a quirky side – check out the little bird hiding near the light! 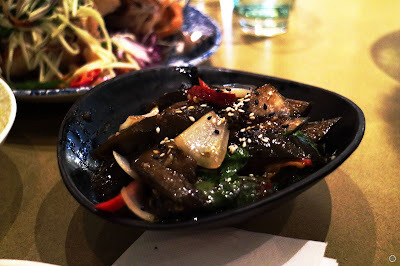 Hehe the eggplant was so good! That eggplant sounds incredible. And I agree, I love having Vietnamese in summer because it's so light and fresh!